If you have been considering selling your home, it is likely that something has changed in your life and a new chapter is about to begin. This can be a very exciting time for you. Seize the moment! 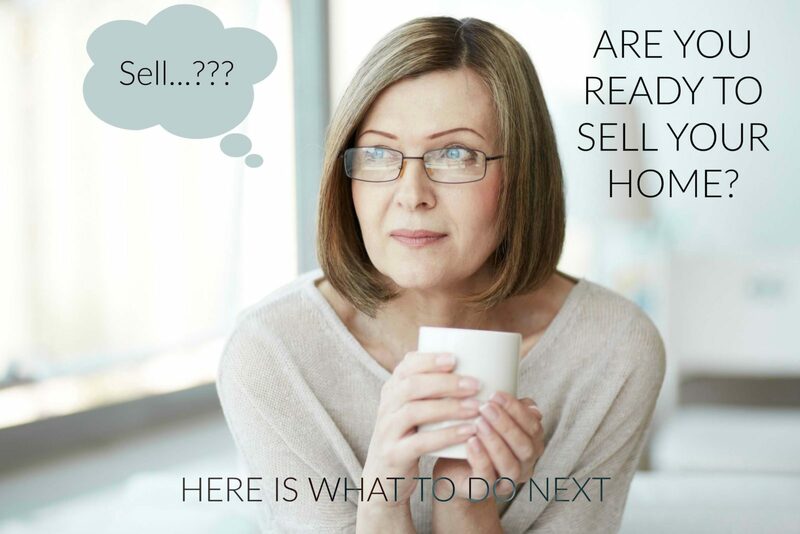 However, simply deciding to sell your home is only the beginning of the process. Selling your house can be overwhelming and time-consuming. To be sure you are ready, you need to ask yourself a few questions. positive selling experience when you’re ready to make that move. How Does My House Compare? What is the real estate market in your neighborhood? What are houses selling for in your area? Does the size of the house matter? What is the selling price per square feet? How many similar houses are currently for sale? help you determine the best price for your home. If the REALTOR LIVES in the SAME City even BETTER! When selling your property, you need to have an overall marketing strategy and plan. This can be expensive and time consuming to do it right. Most home owners don’t have the time or the expertise in pricing their home correctly and marketing it to get the maximum selling price and doing it quickly. you good tips to help make your property more appealing. A market analysis is the process of reviewing the real estate market activity in your area to determine a realistic price for your property. Once you have selected your realtor, he will preview your property to do a comparative market analysis (CMA) to determine the value of your property. result in a pricing recommendation. Always make sure not to overprice your property. This is a big mistake that many sellers make. How Will I Market My Property? Selling your house can be overwhelming and time-consuming. Where do I advertise my property? Do I use Social media? Do I have a list of potential buyers? If you don’t have a background in real estate, this is where a realtor can be a valuable asset. Not only will promote your house, but he can also give you recommendations to help it sell it faster. He can assist you prepare your property so that it will be properly positioned to attract the most interest from potential buyers. component is important for marketing, promoting, that will also drive buyers to your home. What Must I Disclose to Buyers About my House? Finally, what do potential buyers need to know before they buy your home. If there is anything that you would want to know before you purchased a home, make sure you give your buyers the same consideration. Besides it is the LAW! You must disclose to buyers any that may affect the value of the property. For example, if your neighborhood has problems with flooding, noise or vandalism, make sure that you disclose this to your buyers. If you have structural problems, again make sure that you disclose this to your buyers. order to make a sale.